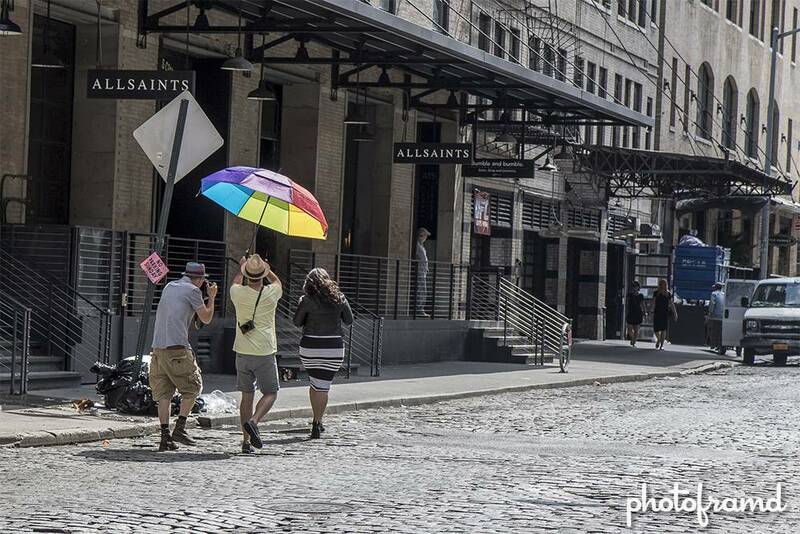 Since this is the beginning of Fashion Week in NYC, I thought I would share these photos. 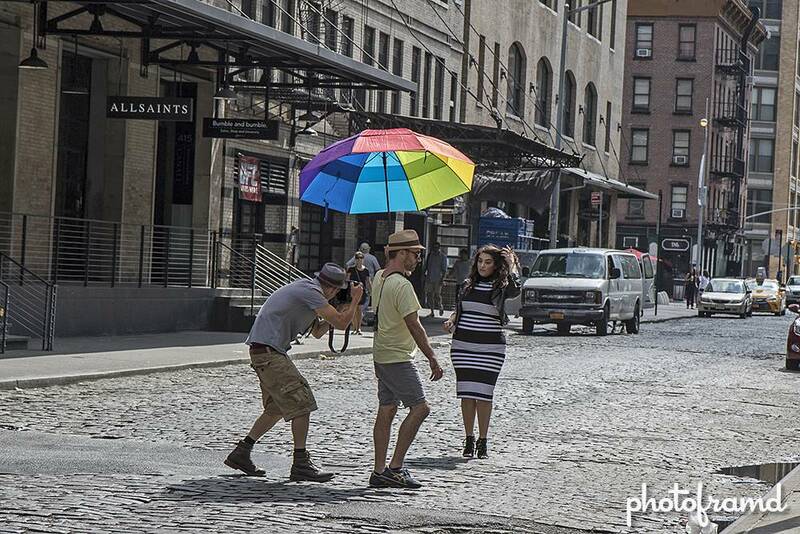 I was walking around the Meatpacking District a couple weeks ago, and I stumbled onto a photo shoot. 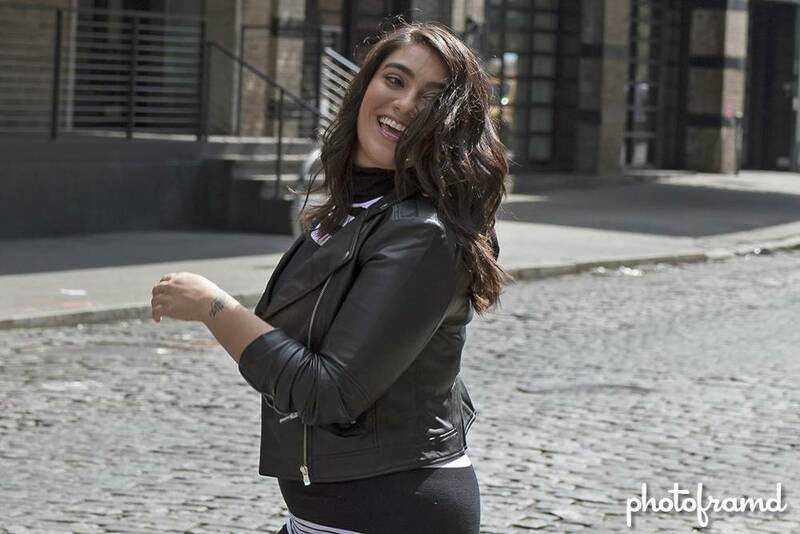 According to the small crew, Nadia Aboulhosn is working on a new campaign (possibly for Addition Elle! or Lord & Taylor). 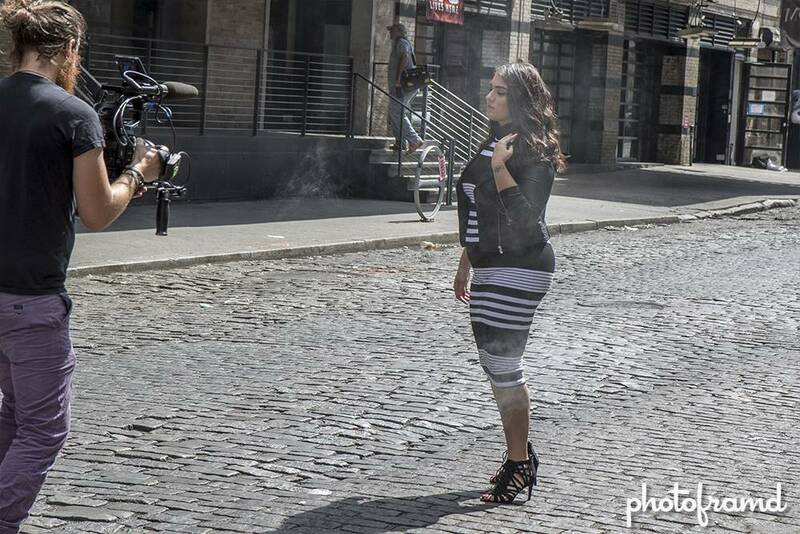 It looked like they were shooting both stills & video, so expect to see it soon. 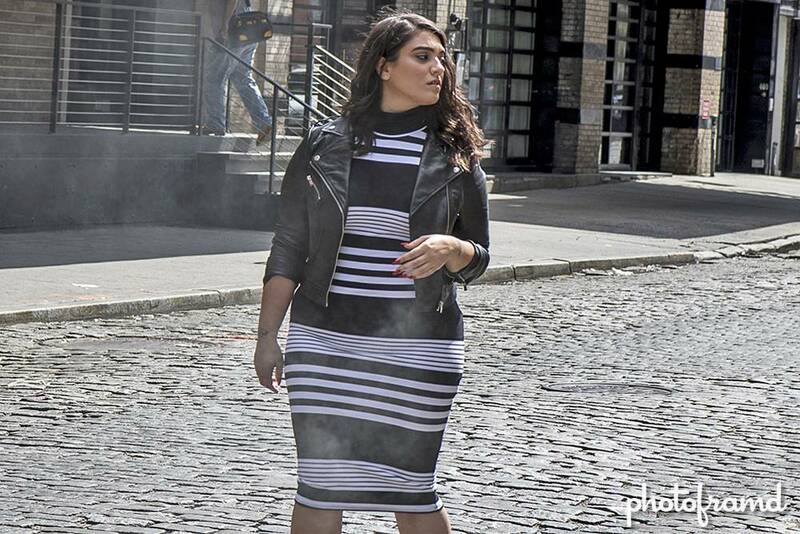 Nadia Aboulhosn should make an announcement this week at Fashion Week Spring 2016. 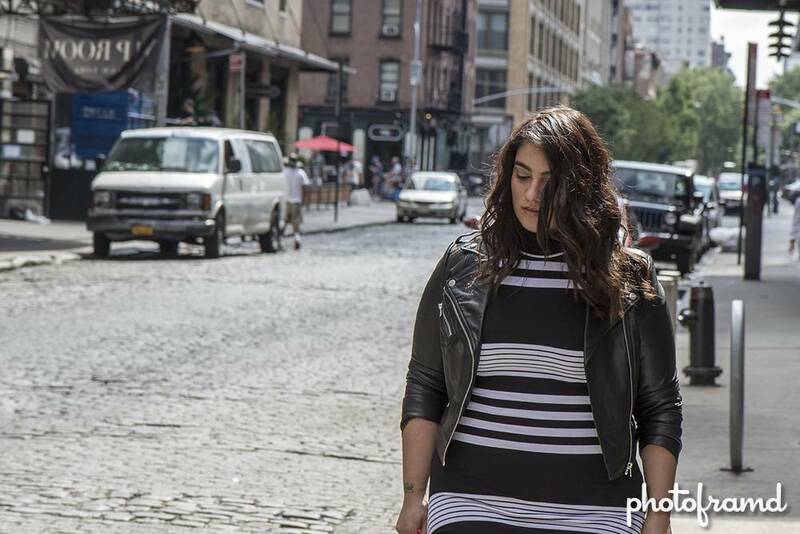 Nadia Aboulhosn and crew was on W 13th St between Hogs & Heifers and Fig & Olive. 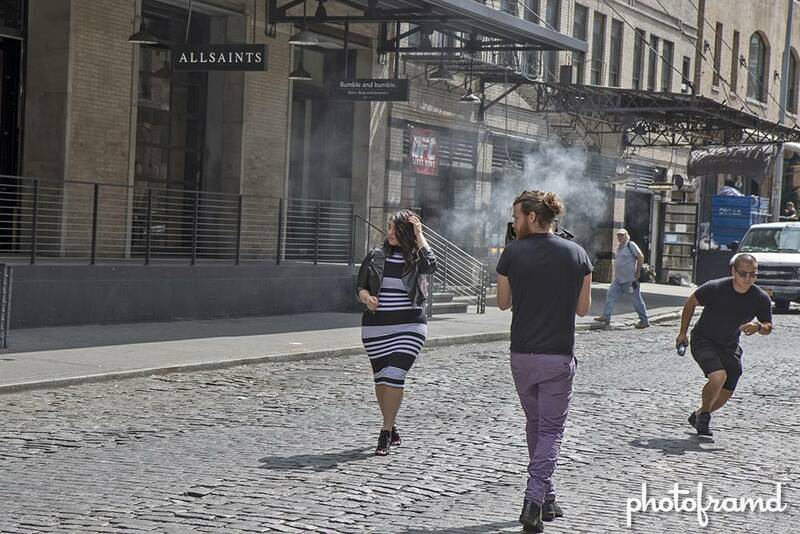 In fact, one of the waiters from Fig & Olive yelled at them not to block the outdoor tables. It was a hot & humid late August morning, but the early sunlight worked well. They even added some mist for ambience. It was so humid that the mist just lingered. Take a look.